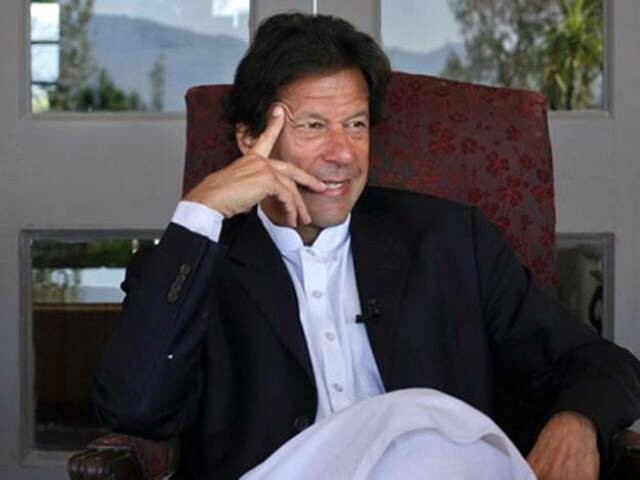 ISLAMABAD: Putting to rest all uncertainties surrounding the exact date when the election for the new prime minister and the oath taking will be held, the Pakistan Tehreek-e-Insaf (PTI) on Friday announced that Imran Khan will take the oath as prime minister on August 18. “The PTI wanted to invite to the oath-taking ceremony thousands of Pakistanis who supported and voted the party in the general elections. But as the presidency will be hosting the ceremony so only a few hundred guests will be invited to grace the occasion,” PTI Spokesperson Fawad Chaudhry said while talking to the media at Bani Gala. Chaudhry said the inaugural session of the National Assembly has been summoned on August 13 and added that the process of oath taking of MNAs-elect, election of the speaker and deputy speaker of the lower house and the election of Leader of the House will be completed in a couple of days, and finally on August 18, Imran would take oath of his office. Meanwhile, former Indian cricket team captain Sunil Gavaskar – who happens to be a personal friend of Imran — expressed his inability to attend Khan’s oath taking ceremony citing his prior commitment. Gavaskar has informed the Pakistan Tehreek-e-Insaf that he is part of the commentary panel for ongoing India-England Test series. Second Test of the five-Test series will commence on August 18, the oath-taking day as announced by the PTI. While rest of the two former Indian crickets – Navjot Singh Sidhu and Kapil Dev – have responded positively, assuring the PTI they would attend the swearing-in ceremony. A few days ago while talking to an Indian media outlet, Gavaskar had confirmed that he had been invited by the PTI to attend the ceremony; however, he has said that he would seek Indian government’s permission to attend it. Imran’s enduring love for cricket will be witnessed at his swearing-in ceremony: a galaxy of cricketing stars, including members of the Pakistani squad who won the 1992 world cup, will attend the PTI chief’s inauguration. Former Pakistani cricketers — including Aaqib Javed, Inzamam-ul-Haq, Javed Miandad, Moin Khan, Mushtaq Ahmad, Rameez Raja, Wasim Akram and Mudassar Nazar have also confirmed their availability for the ceremony. Khan’s victory in the July 25 elections was widely celebrated by Pakistani cricketers. Several former and current Pakistan cricket team members personally visited his residence at Bani Gala and congratulated him. The party’s media cell also released pictures of Khan posing with his friends from the cricket world. Talking to The Express Tribune, PTI senator Faisal Javed said the PTI had only invited three former cricketers from India. “Gavaskar has recently conveyed that it might be difficult to attend the oath taking ceremony due to his prior commitment,” Javed said. He said majority of Pakistani cricket team squad of the 1992 World Cup have confirmed their availability. Meanwhile, the National Assembly (NA) secretariat has made special arrangements for the preliminary session of the 15th NA, which is going to be started from August, 13th. In this regard a Control Room and Facilitation Centre has been set up in the Parliament House to assist and facilitate the newly elected Members of the National Assembly. The control room has been established in the service branch of the NA, which would remain open round the clock, while the facilitation centre set up in Committee Room No2 for collection of bio-data of MNA- elect, issuance of MNAs folders/bags containing various assembly documents, preparation of photo-graphs, collection of local/permanent addresses and preparation of identity cards of newly elected members would remain open from 9:00am to 9:00pm. 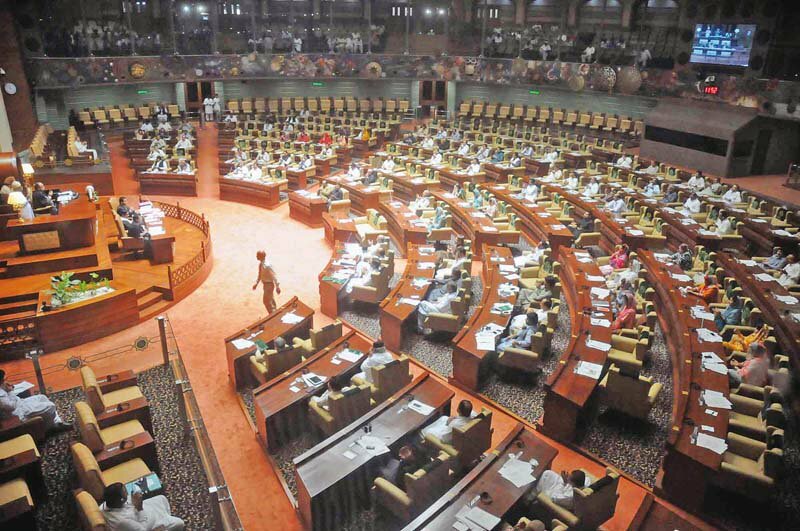 To ensure fool proof security and shortage of seating capacity in galleries, only two galleries passes would be issued to each member of the NA for their guests on written requests for the occasion of oath taking of members, election of speaker and deputy speaker and ascertainment of the prime minister in the assembly. The members are also requested to provide full names of their guests with CNIC nos. and vehicle number plates, prior to each sitting to the secretariat otherwise the guests would not be allowed to enter into the red zone. The secretariat has issued a circular in this regard to all the members (elect) of the National Assembly. Furthermore, the secretariat would remain open on August 11 (Saturday) and 12th (Sunday) in connection to the preliminary session.